Personality:Hanashi's usually quiet, only speaks when necessary and yet she likes messing with a lot of people.She has a bit of a fragile side that no one has seen and she only keeps that side ot herself.She's a bit of a tomboy and acts before she thinks rarely.She also has quite a temper yet she tries to not show it(no matter how annoying or frustrating anyone can be to her)Sometimes Hanashi acts quite shy around boys but she's trying very hard to not act that way.You could say she's slightly bipolar?She's also very fluent in some languages, mainly speaking spanish well, seeing as that's her first language. Uniquenes:Hanashi attracts some animals around her without meaning to, though she is an animal lover.She has an intense desire to become strong, to protect her Day class from the Night class, or even the other way around. Hanashi was born into what appeared to be a normal family.Her mother worked as a lawyer while her father worked in something Hanashi never bothered to know, nor ask.What she didn't know is that her father worked as a Vampire Hunter.Hanashi never knew about that secrep part of his father's life, because she never asked him about it.Though, she somtimes wished he would tell her more about what he does. Meanwhile her father was planning to train Hanashi.She was at that age where he thought she was ready to be trained.But, how to tell your own daughter that your job was to handle vampires?He thought about it.His wife knew about his job.She had sort of always known.Hanashi's father had told her mother about training her daughter.At first, she said no, saying "It could be dangerous for her" but he explained that she was just gonna go through the training;not fight the real thing.She gave up, and let him.But, how will he explain this to her ten year old Hanashi?He'll find a way. Meanwhile, Hanashi was always studying in her room, almost never coming out and when she did came out, she was always out in the backyard of her home, playing with animals that would come to her.Hanashi rarely talked to kids her age.When she would talk to them, it was because her mother sort of 'made' her talk to kids.She didn't like it but, if it would please her mother, she would do it, no matter how much she hates it.However, she did made friends with two twins.The Zouka twins.They were the very opposite Hanashi was.She was quiet, always studied, and spoked when needed.Them, on the other hand were slightly rude or very, didn't care for studies, and would enter a conversation without asking.They're names are Hikaru and Kaoru Zouka.They were both very identical, but if you looked really hard there were things that would tell them apart.Hikaru acted very mature for his age.He was usually the one to keep Kaoru out of trouble, but sometimes he would suggest a prank or two.Meanwhile, Kaoru was always immature, and would try getting Hanashi to join their little pranks;which would result in her throwing a book at him. 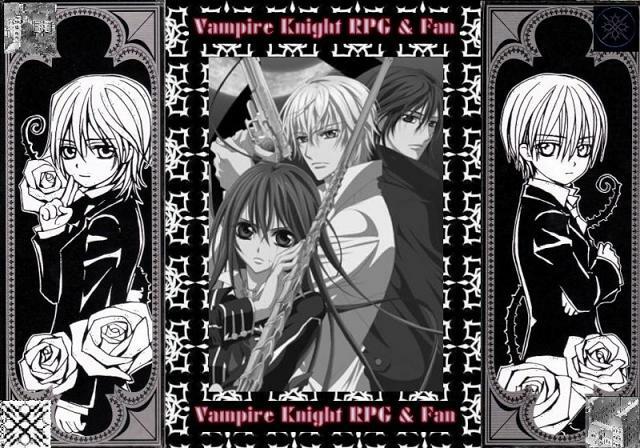 Though both of the twins shared something in common:They cared for Hanashi.Almost to the point of having a slight crush on the black haired girl.However they held another secret:They were both vampires, nobles.Their mother told them to specifically not tell Hanashi what they were, but they felt bad.Hanashi didn't care, she told them one time "Whenever you feel ready to tell me something, tell me.I won't pressure you to tell me, ok? ", of course, this made them hug her one time and say together "You're so cute! ", and she threw a lot of books at them when they let her go.She was the only one to tell them apart besides her parents and family, which made them have a deep love for her.It would be seemed weird at their age to have a 'deep' love for someone, but that's how they felt. Meanwhile her father found out that she made friends with the Zouka twins, which put him in a slight difficult position.Hikaru and Kaoru's mother knew that Hanashi's father was a Vampire Hunter.In fact, she told her sons to be careful around her father but, she wasn't afraid.There mother was actually the nicest noble that Hanashi's father had met but, you couldn't say immediatley that there the nicest person.But Hanashi's dad wasn't worried about himself, he was worried about his daughter around those twins.What if there bloodlust kicked in?Would they try sucking Hanashi's blood?Or their bloodlust have finally awakened but they can control it?So many questions yet so little time.At least, in his mind. The up and coming weeks Hanashi's father told her about vampies.That they really did exist.At first, she thought her dad drank one to many alcoholic beverages before coming to talk to her.But no, they were real, that's what shocked her the most but, deep inside, she was glad.Glad that her father finally told what his 'work' was. A few years have passed ever since her father trained her.She was slightly expirienced in handling vampires now.But, there was a memory, a memory about a woman she had met when she was a child, along with a man that was beside her.Shitake Aki and Shitake Yamiyo were their names.The day she met them was the day she actually started caring.Caring about others.The Zouka twins had also started noticing Hanashi's personality change slightly.They knew why, and it angered them.They haven't met Aki and Yamiyo personally but, they heard Hanashi talking about them.For six years they've been trying to get Hanashi to open up.Just the thought of those two people set their noble blood on fire. 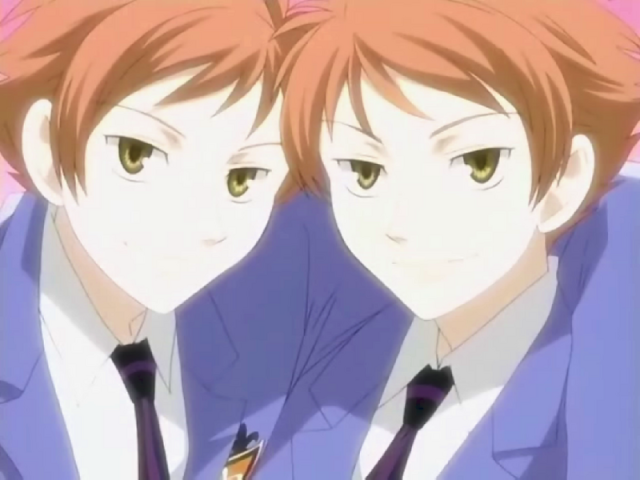 Hanashi's parents, and Hikaru and Kaoru's parent's deicided to always put their children in the same school, up until when they reached fifthteen years old.The three of them entered Cross academy but got seperated.The twins in the Night Class while Hanashi was in the Day class.They comaplined(mainly the twins, since they wanted to be around Hanashi) but in the end the principal said they will stay in the Night class till they graduate. Now, back to the present.Hanashi was a sophmore in Cross academy.The twins as well.She was still an Apprentice Vampire Hunter.The twins were in their sophmore year as well but, they found it rather boring without Hanashi around them.They haven't seen each other in a long time, like a few months.Mainly Hanashi stayed inside her doormroom, studying as usual, while the twins usually liked sneaking out at night to cause some fun, but they stopped doing pranks at night.They only did it to try and get Hanashi out, since they found out about her being a Vampire Hunter and all but, she didn't come out. 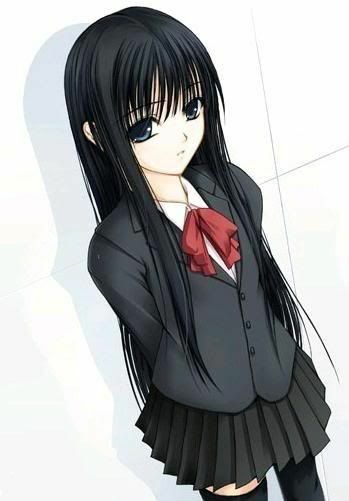 Rp sample: Dark blue eyes looked at the blackboard with a bored expression on her face.Hanashi's eyes quickly moved to the left, then to the right.A quiet yawn then escaped her lips which she quickly put her hand over her mouth so no one could see her opened mouth.She moved her bangs slightly, the fell back to her face quietly.Ugh..History.Such a boring subject.If Hanashi could have her way she'd be out and patrolling earlier than usual.Her eyes moved towards the window.Trees surrounded the school, something Hanashi liked a lot.Even with the teacher talking she could hear the birds chipring.It was something that she always loved hearing. "Zetsubou!" the teacher's voice boomed next to her."Yes?" she said boredly as her head turn to face the teacher's annoyed face. "Did you hear what I just told the class?" "Not really..then again, I was dozing off" his eyes glared daggers at her head.He was about to say something but the bell rang and she quickly ran off "See ya later, teach!" she laughed as she had her bag with her already as she was out the door. She mentally made a note to not doze off again in the class again or she might end up in detention, something which Hanashi hated with a passion. "Well..time for my rounds, I guess.." she sighed as she noticed the day was beginning to end, meaning the Night class would be going to there classes soon.She walked towards the Day class dormrooms.After a half an hour she came out with her usual outfit which was a black sleeveless shirt that ended at the hem of her long light blue tight pants.She had also bought a black coat, seeing as no one should know she had a weapon.Her sword was hidden under her cloak, under her right hip as she walked out of the Day class dorms and started patrolling.